We expect a surprise when we shake something. 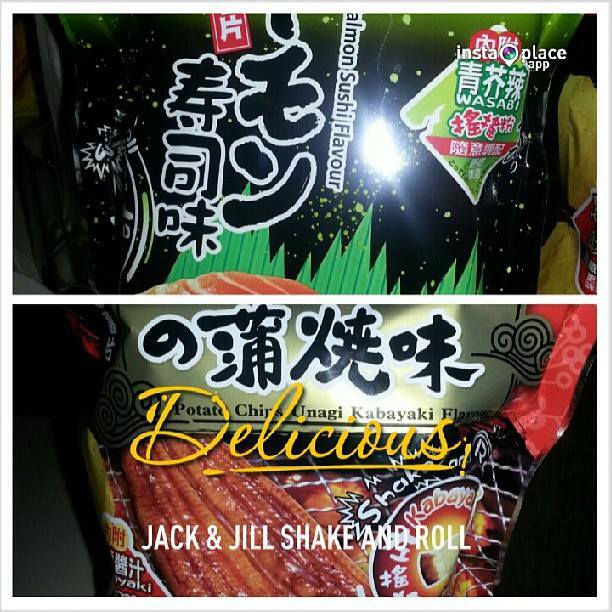 The famous Japanese snack from Universal Robina Corporation Jack & Jill Shake and Roll is now in the Philippines. In two variants, Salmon Sushi and Unagi Kabayaki Flavors, Jack & Jill treated bloggers to an exciting snacking event last Friday at Crowne Plaza Galleria. 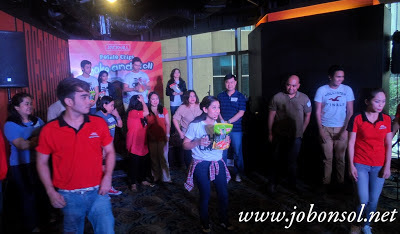 It was a creative, hip and fun promotion of a famous Japanese snack according to my travel blogger friend from Brazil Andre Rezendo Azevedo. 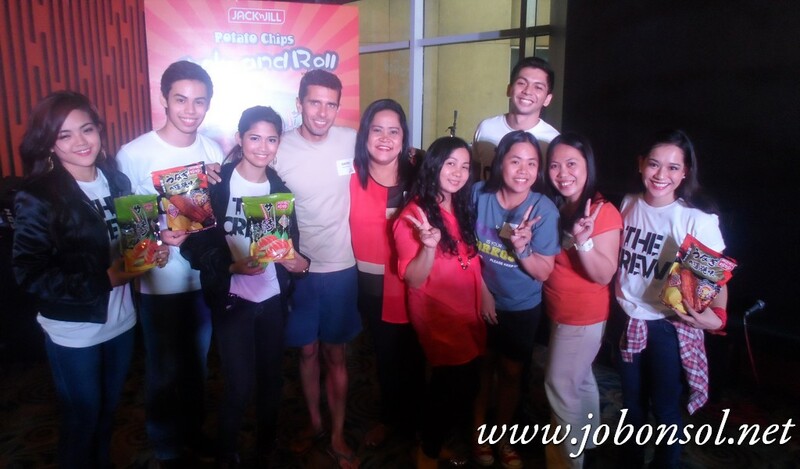 After a brief introduction of the new products and how to enjoy the snack, bloggers were called to participate in the Shake and Roll dance moves led by the 2012 World Hip Hop Champions in Las Vegas, The Crew. I had fun watching some of my blogger friends dance the Shake and Roll signature moves- open, season, seal and shake and roll. I couldn't imagine the roll moves part considering the snack comes in packets of flavor and crispy potato chips that can be enjoyed with or without the powder packet. The Salmon Wasabi variant can be very spicy strong for young kids but teens will definitely love them at a retail price of Php35 available now at all leading groceries and supermarkets.